DIRTY TUNERS KILL YOUR MILEAGE AND YOUR DPF! 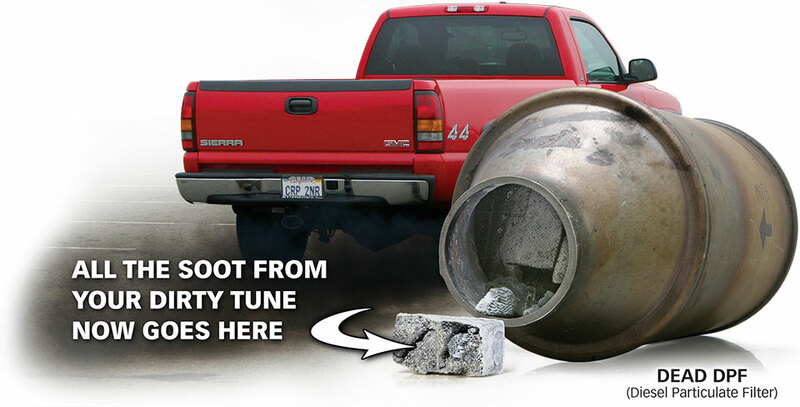 The diesel particulate filter (DPF) on newer diesels soaks up soot from dirty tuners like a sponge. You can’t see it, but it’s happening. The DPF can clean itself through active regeneration, but this uses up fuel. Bottom line: the dirtier the tuner, the lower the fuel economy—it’s that simple. Double the amount of soot and you’ll double the regen time and fuel consumed. Even worse, you run the risk of damaging your DPF. (Good luck getting your dealer to replace this expensive unit when your dirty tuner causes damage!) Dirty tuners put your engine and your DPF on kill. BANKS TUNERS HONOR THE DPF. Our diesel tuners are calibrated to give you the full power potential of your work or sport truck without all that soot. And built-in ActiveSafety® and AutoRate® features safeguard your powertrain. When choosing a tuner, remember: Only Banks collects and analyzes soot content to the microparticle. That's how we know our tuners honor the DPF and other tuners trash it. 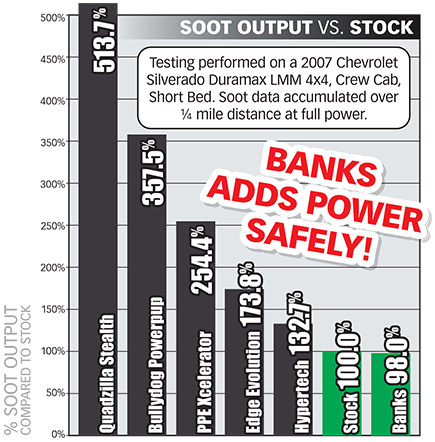 Check It Out — Banks Power Diesel Tuners are engineered with your truck's health in mind.